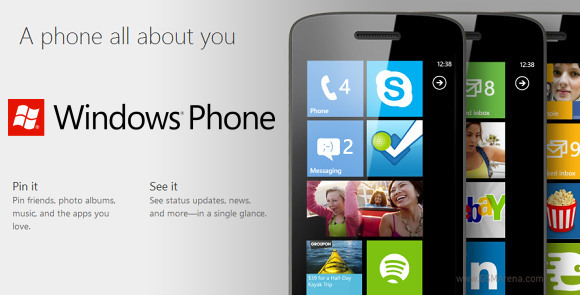 Windows Phone 8 is officially in the race. It probably isn't time to count the horses just yet but Team Windows seems ready to bounce - major OEMs have backed Microsoft up with flagships and mid-range options. Redmond is doing its part with what looks like one of the biggest OS overhauls this year. It's not new looks that will impress users - the UI design has always been among the platform's strong points - but there are so many things under the hood that make the new OS such a decisive step forward. Windows Phone 8 supports multiple core chipsets and different screen resolutions. There's even deeper social integration, improved SkyDrive and Xbox Live support, DirectX graphics, Windows 8 and Xbox 360 cloud and services, USB mass storage. The new platform core helps streamline app development and ties everything up in a consistent, cross-device ecosystem. What this means is the proverbial catching up with the Android and iOS app stores is finally within Microsoft's reach. Microsoft is spreading the campaign wide this time and failure is not an option. Windows 8 and Windows RT OS have already demonstrated huge potential. The Surface lineup looks promising and blurs the traditional boundaries between tablet and laptop. The recently launched Xbox Music service is something to look forward to as well. It is now Windows Phone 8's turn to show off its newly found skill and power. You could use voice dialing instead - the Microsoft's TellMe did well at recognizing our commands. Anyway, Messaging breaks down into two tabs - threads and online. Online shows you who's online, with the people you've talked to most recently on top. Threads is where this hub's impressive features kick in. A new thread is created for each person you start a chat with. Messages are displayed as speech bubbles and a label on the left shows the type of message - text, Facebook or Live Messenger. Labels are placed only when the conversation moves to a different platform so it's not cluttered. The visual voicemail functionality is also part of the OS (but its availability is dependent on your plan and carrier). It works as you would expect, by letting you read your voicemail messages instead of listening to them. Conversation view works fine - it lists emails between you and a contact chronologically, grouping them by subject. It's the display style that Gmail popularized and is the best way to keep track of a conversation over email. Text input on Windows Phone is limited to the default QWERTY keyboard, in either portrait or landscape mode - that's it. The layout remains the same across all WP devices and the only options you have are changing the language of the keyboard and resetting the dictionary that displays word suggestions. Windows Phone 8 supports more languages than its predecessor. The QWERTY keyboard is very comfortable to use and has sound enabled on key presses. There's no haptic feedback and there's no way of enabling it. Selecting text does require some getting used to. You hold your finger over some text for a second or two and then release. The text area gets highlighted and then you can move the beginning and end cursors to adjust how much text you want to select. A little icon pops up for copy and the selected text is available to paste anywhere in the OS. The Photos hub is also pretty much the same as we left it in Windows phone 7.5. The camera roll unifies your entire collection of photos and videos, taken with the device, in a 4x5 grid. You cannot change the view of the camera roll. Viewing a photo can be done in either portrait or landscape mode. Zooming in on a photo is done by either double tap or pinch to zoom. We appreciate that the camera roll doesn't downsize pictures and you can enjoy them in full resolution. The media players reside together in the Music & Videos hub, which now bears the Xbox logo or the last played media thumbnail. When you start it, it shows the History to give you quick access to the last two things played, or you can go to the full menu and start the music or video player, listen/watch podcasts (both audio and video podcasts are supported) or go to the Marketplace. The music section is made up of albums, songs, playlists, genres and artists. Videos can be sorted by All, Television, Music videos, Films and Personal - think of them like more of categories you can assign your videos to when syncing with Zune. The third section is podcasts where you can store all of your downloaded audio and video podcasts. The music hub has a simple and straightforward interface. You won't have any difficulties using it. However there are some things missing, like an equalizer. We guess it will be up to the manufacturers to supply those if they see fit. Another missing feature is the ability to scrub through a song - you have to press and hold on the FF/rewind buttons to simply jump back and forth. On the now playing screen the favorite, repeat and shuffle buttons are placed horizontally next to the album cover instead of hidden behind it. As a music player, it's pretty standard - your tracks are sorted by artist, album, playlists or you can view all songs. The interface is very similar to that of the stock music player, but under the album art it lists the next three songs to be played - really helpful if you're using shuffle. There's no way to manually reorder the upcoming songs, but you can reshuffle them. Unfortunately Windows Phone 8 still doesn't offer equalizer options. Let's hope Microsoft will add those soon enough. The video player has a very simple interface - you have fast forward and rewind controls, a timeline and a video size button that toggles full-screen viewing. The video player in Windows Phone 8 has greatly improved codec support compared to WP7.5. Now it does recognize pretty much every Xvid, DivX and MP4 videos up to 1080p resolution. The few things it won't play are MKV files and videos using the AC3 audio codec. While this is not perfect, it's certainly a huge step forward for the platform and will save you a lot of time in converting your videos. There is no subtitle support yet. Since Windows Phone 8 is Zune independent, you can easily upload videos from your computer in USB mass storage mode. You can pin individual items to the homescreen - a song or a video. As promised the cameraapp gets a new handy feature called Lenses. It does one very simple, yet extremely useful thing - combines all camera apps into one place. When you hit the Lenses button you'll get a pop-up window with shortcuts to all the camera apps - Panorama, Bing Vision, Instagram, etc. Choosing any of them will open the dedicated app, but will keep the default camera open, so if you hit the Back key later you'll get to the Camera app instantly. Besides the Lenses feature, there is nothing new within the Windows Phone 8 camera department. Although you can of course still sync with Zune, your WP8 device is now Zune independent. There is Mass Storage mode for both the memory card and the internal phone storage and you can upload files on both. There is no requirement where you put your files (specific folders, etc.). If the phone has the appropriate app to handle a file, you'll have access to it. Since there is no WP file manager, unrecognizable files are only accessible on a computer. The Windows Phone Marketplace, called Store now, is still trailing behind the Apple Appstore and Google Playstore. The number of apps available is higher than 125 000, but it's far less impressive than what Android and iOS have at their disposal. Apps written specifically for Windows Phone 8 won't work on the older versions but all of the older apps will be compatible with WP8. Anyway, each app will be listed with a short description, a rating and user reviews, and a few screenshots. If the app requires access to something that can potentially breach your privacy (e.g. location information) the Marketplace will let you know. The Games section is divided into Xbox Live, New, Featured and Genres, which is the categories version. A great thing about games in the Windows Phone Store is the trial option, which is available to many games and apps. You can try before you buy. The Store on Windows Phone can be accessed on your WP device, the Zune software on your PC and the windowsphone.com website. Search is available for the Store but right now it pulls together search results from all sections - games and apps alike. Microsoft have fixed the issue of songs getting mixed up in the search too, which was annoying. Xbox Live is at the heart of the Games hub. It carries over many features from the Xbox - from your avatar to your scores and achievements. The Spotlight feature is available too (it shows info on new stuff) and also Requests - which shows game invites from your friends. Also from here you can see your friends and their profiles, achievements and avatars. There are a few shortcuts to other Xbox Live-related apps - such as remote Xbox control or the avatar changing app. If you don't have them installed, you'll be redirected to the Store, otherwise you'll get directly to the app in question. The mapping solution in Windows Phone is called just Maps. Microsoft claimed that the service is now powered by Nokia Maps and its Navteq Map data, but the interface and the general user experience looks the same. Unfortunately there is no voice-guided navigation like Nokia Drive. The only available option is directions. Real-time traffic information is available, though and so is caching for offline usage. This means that you can preload map data and use it on the go without a working data connection. Another cool new feature of the new version of Maps is that it allows for developers to control it through their app, which enables apps with Maps integration to be created. The Local Scout, despite now being also available separate app, is still available within the Maps app. It will locate nearby points of interest and will even show you indoor maps of some buildings. Local Scout has a tabbed interface to sort the various points of interest - eat+drink, see+do, shopand highlights. You can pick items from a "I care about" list to get the relevant options only. A cool feature of Local scout is that you can pin places to your homescreen - venues you want to keep an eye on, read reviews about or make a reservation. They're right there on your homescreen - that's neat. The Local Scout app does exactly the same as the Local Scout feature in Maps. The Microsoft mobile platform took the biggest step forward of all the major players this year. While Android focused on optimizing performance and voice assistants, and iOS basically stagnated (shooting itself in the foot with Maps), Windows Phone got some cool new features and, more importantly, can now finally make the most of advanced hardware. Windows Phone 8 is faster, smoother and more powerful than its predecessor. It retains the same familiar - and attractive - design, but something as simple as resizable live tiles is a real boost to usability. The Kid's corner is another nice little thing to have and the Mass storage mode really changes the way you use your smartphone. Zune no longer has a death grip on file transfers and the added microSD slot support means that you'll be able to get smartphones with plenty of storage on the cheap, which might convert a few extra users as well. What's worth pointing out here though, is that Windows Phone was lagging so far behind its main rivals that the update doesn't necessarily mean it's come frighteningly close, let alone on top. Au contraire - Windows Phone 8 is only now able to start matching up against iOS, and it's still got a lot of ground to cover to reach Android levels of functionality and customization options. So it seems that the Nokia Lumias, the Samsung Ativs and the HTC WPs will first try and steal market share from iOS, before looking at the Google-powered army (though some might be tempted to give up some functionality for the cool looks). Thing is though, the Apple customers are among the most loyal around, so luring them away from the favorite brand is always going to be a hard task. However it seems that Microsoft and its allies may as well be up to it. Early glimpses of the new crop of Windows Phone 8 flagships have been more than encouraging. A platform that's managed to shed the self-inflicted limitations and is giving developers a good reason to get their hands busy must be on the right track. The other piece of good news for the WP alliance is the fact that the smartphone market is still not a zero-sum game. There are still plenty of featurephone users to be converted out there and Windows Phone 8 seems to put team Microsoft in a very decent position to get a big slice of the pie.